If there's one cohesive direction the skincare market is going in, it's the way of natural, nontoxic beauty products. A 2018 analysis from Persistence Market Research, a global market research firm, shows that the global organic beauty market should reach almost $22 billion by 2024, judging by the industry's year-on-year growth. Those figures suggest that the market’s value is expected to double within eight years. That is massive growth, folks. "Natural" skincare used to represent one of two product categories: hippie-dippie (not that chic or high-tech), DIY-style products you'd find on Etsy or at health food stores and super-high-end items that would be challenging for most consumers to afford. But as mainstream demand for organic skincare increases, so does the demand for effective formulas that won't break the bank. Enter brands like Tree of Life. 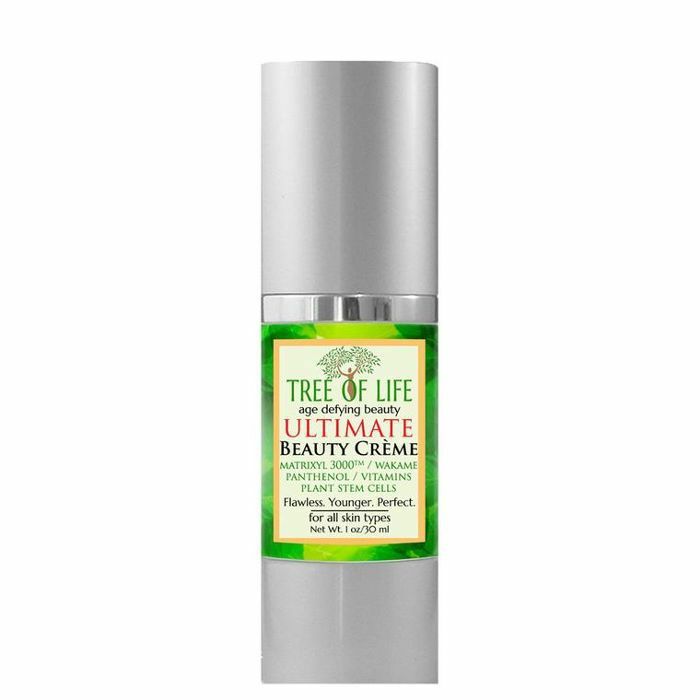 Tree of Life is a plant-based, cruelty-free, nontoxic skincare line founded by biologist Ellyn Davis, who a few years ago found herself on the hunt for a skincare line that was clean, packed with active ingredients, and also affordable. She noticed a gaping hole in the market, so she decided to fill it herself. Today, the line contains about 20 results-driven products with research-backed, quality-controlled ingredients like vitamin C, hyaluronic acid, and retinol serums—all of which contain a higher percentage of organic ingredients than most other "clean" skincare products on the market. Each product's highly pronounceable ingredient list is printed on the side of the bottle, and most of them contain 98% natural, 72% organic formulas. Better yet, the products are available on Amazon and range in price from $11 to $19—similar prices to buzzy skincare line The Ordinary. Tree of Life's business philosophy is actually pretty similar to The Ordinary's: It's able to keep costs so low mainly by spending very little on marketing. 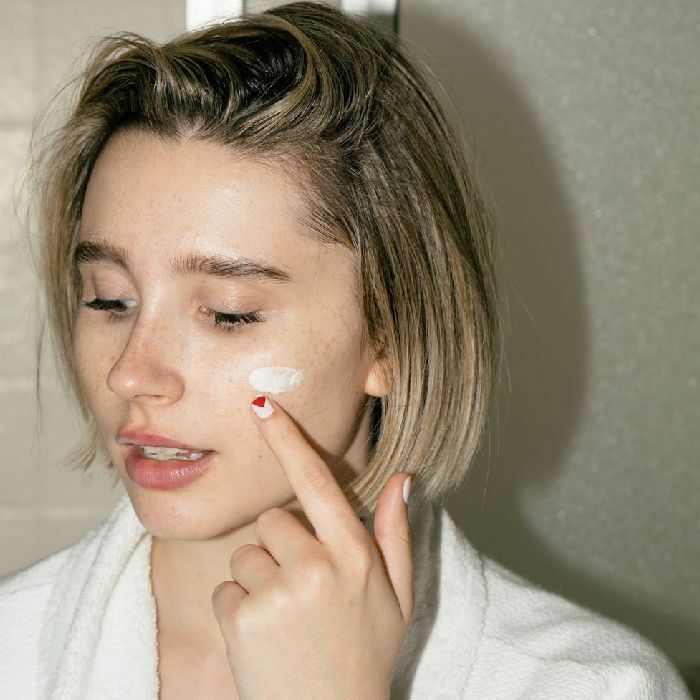 The brand's website and social media accounts are extremely low-key, especially compared to "cuter" and better-known—though not necessarily better-performing—natural skincare lines like Sunday Riley and Drunk Elephant. Instead, it relies on word of mouth for sales: "If you like our products, please share them with friends and family so we can all enjoy high quality, yet affordable skincare together," reads the brand website. Minimal marketing aside, Tree of Life has been able to amass thousands of positive, unbiased Amazon reviews. Most of its products have earned at least a 4.5-star rating on the e-tailer. I recently got my hands on seven of the brand's best sellers and decided to test them out myself. Read on to learn more about the cheap, all-natural skincare line Amazon reviewers are obsessed with. Witch hazel, Cassia Angustifolia seed polysaccharide (a plant-based form of hyaluronic acid), aloe, jojoba, and sodium ascorbyl phosphate (vitamin C) are just a few of the skin-loving goodies in this hydrating serum. The product is moisturizing but featherlight and insanely fast-absorbing, so it doesn't leave any grease or stickiness on your skin, and it's totally fragrance-free. An ideal pick for sensitive skin. I personally am not super irritation-prone, so I could stand for a slightly more potent serum made with the sodium hyaluronate form of hyaluronic acid (like SkinMedica's, though that one is literally 10 times more expensive). But for the price especially, I am not mad at this serum and would easily recommend it to anyone looking to add some light hydration to their routine. 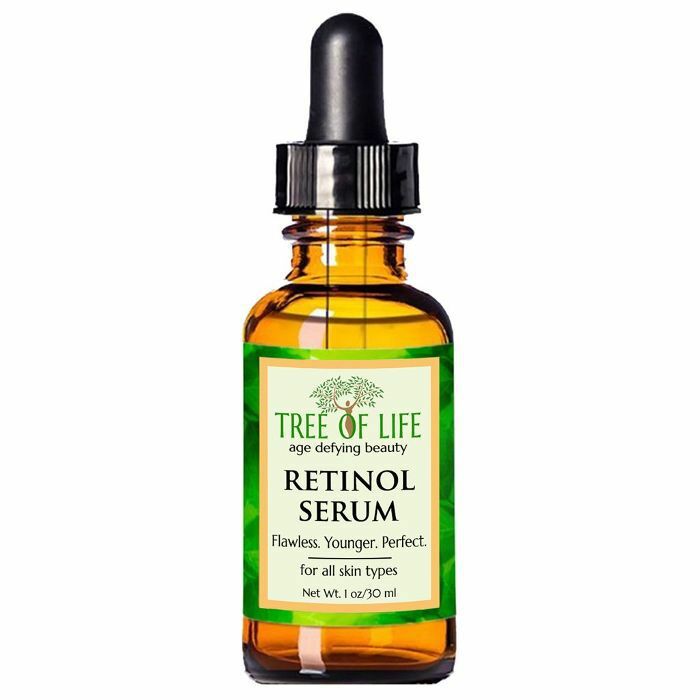 An $11 retinol serum? Um, yes. This gentle but potent formula contains 2% retinol and 10% plant-based hyaluronic acid, in addition to organic jojoba oil, witch hazel, green tea, and vitamin E—all of which make for a super-nourishing, wrinkle-fighting serum that won't burn upon application. I have not used the serum for as many weeks as I would like to offer the most accurate review of its efficacy on my fine lines, but the almost 2000 rave Amazon reviews have me feeling encouraged. This non-sticky moisturizer is the exact shade of the Pantone color of the year, but that's only part of its allure. Aloe, Matrixyl, a combination of nourishing plant oils (like argan and rose hip), vitamin E, and plant stem cells are some of the intriguing pro-glow, anti-wrinkle ingredients in the formula. The product leaves my skin incredibly soft and glowing but not at all greasy. My only qualm is its funky smell. (It smells a little like Play-Doh to me, but maybe I'm just weird.) That said, I am a fan of the formula itself, which is so much more active than your average moisturizer. 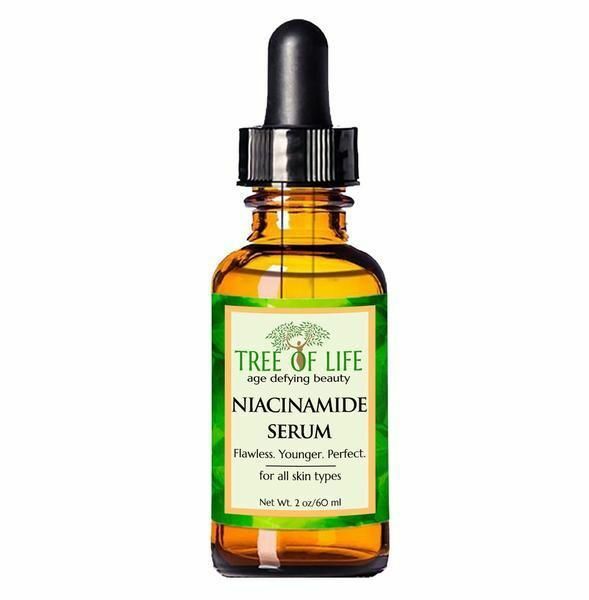 Niacinamide (aka vitamin B3) has been shown to boost collagen, and this serum is chock-full of it. I am obsessed with the ingredient list, the texture, and the effect this stuff has on my skin: The first three ingredients are aloe, glycerin, and vitamin B3, all of which amount to a super-silky, fast-absorbing product that leaves my skin looking hydrated and plump. I can't wait to continue using this and beholding the continued results. 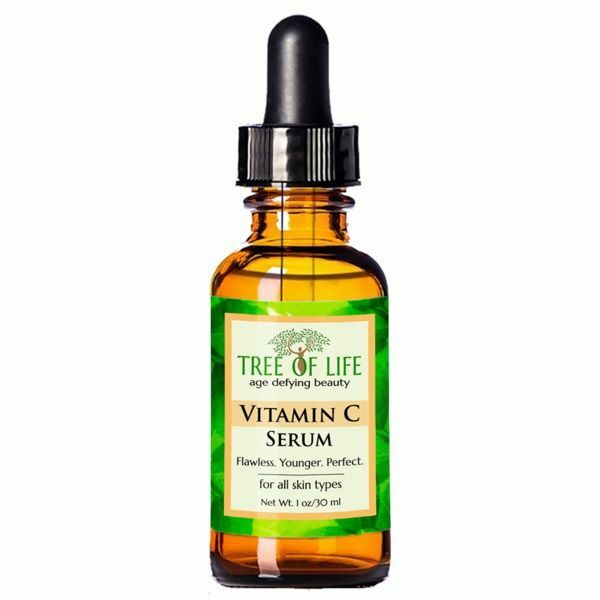 With a 20% vitamin C concentration, this liquidy serum looks, smells, and works like it should cost 10 times as much. I have freckles, so I'm no stranger to brightening serums (I use them in the morning under moisturizer and sunscreen), and I am genuinely impressed by this product's ability to keep my skin from looking ruddy and dull. The formula also contains hyaluronic acid and vitamin E. I think it might replace my favorite $166 antioxidant serum for a while. Apparently, a number of celebrity makeup artists have been getting their hands on (and loving) this delicious hydrating serum. Just check out the product's ingredient list: It starts out with aloe, glycerin, and rose-hip oil—the ultimate natural moisturizing trifecta. This serum is a little thicker in texture than the hyaluronic acid one but, again, won't leave you oily—just hydrated and dewy. I've been loving this under makeup, especially in the dry winter weather. I'm always a little scared of face scrubs, especially natural ones mostly because they're messy, and of course, there's always the risk they'll be too harsh and cut your face open. Not this one. The exfoliating beads are made out of jojoba and pumice, and they're suspended in this bouncy, refreshing gel that smells like green tea and lilac. 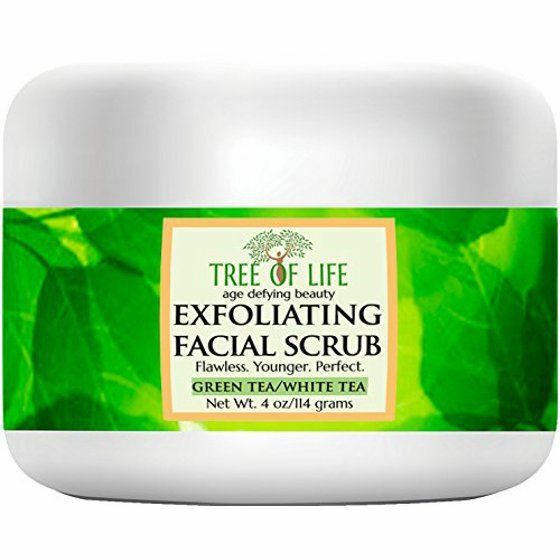 The product has an effective (but non-irritating) physical exfoliation effect that works to remove dead skin cells and leave your face clean and refreshed. I've only used it once so far and am looking forward to a second go-around. The product does seem gentle enough that, depending on your skin type, you could get away with using it every day. Want more skincare reviews? Don't miss our managing editor's honest thoughts about the celeb-beloved brand IS Clinical.